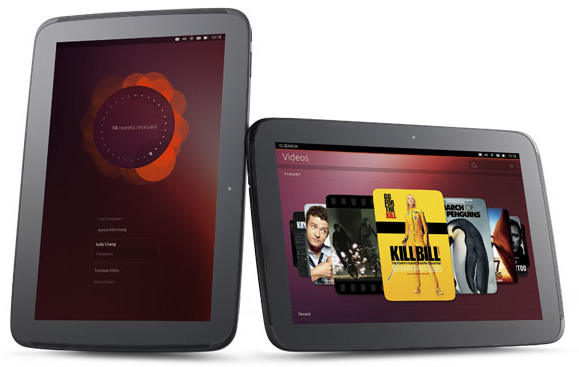 Canonical, the makers of popular Linux distro Ubuntu announced today Ubuntu for Tablets. Ubuntu for tablets completes the four screen strategy, it is there in desktop PC, TV, Smartphone and now tablets. If you are following the news you already know that Ubuntu for Smartphone is coming this Thursday, February 21st for Galaxy Nexus and Nexus 4, along with that comes the Ubuntu for tablets that supports Nexus 7 and Nexus 10 devices. 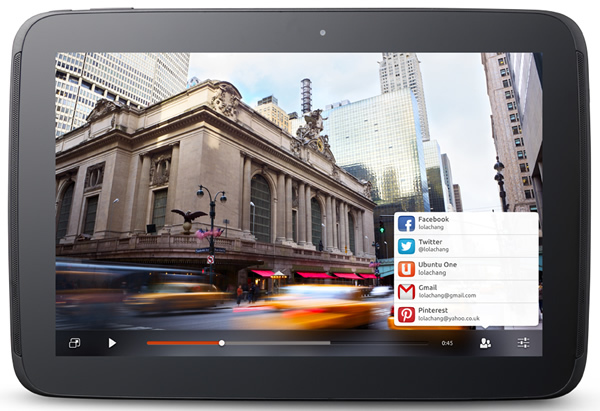 Canonical released a video showcasing some of the features of Ubuntu for tablets. The operating system supports multi-user accounts, a feature that is ignored in iOS or Android, recently Android introduced this, but only available for Nexus devices as of now. It also includes a Guest mode. Ubuntu says trusted Ubuntu security model is good for the tablet for use at work and family. It uses gesture to navigate around the tablet. Ubuntu makes use of the four edges of the screen, swiping brings certain functions in all the four edges. The top side is reserved for system services, the left side hosts your favorite apps and swiping here bring the app page. The video shows switching between the apps is quite smooth, the interface itself is clean and elegant. Multitasking: A phone app and tablet can run side by side, when you dock a phone to the tablet both tablet and phone apps can run on the same screen in split-screen mode. The Phone app is placed right side, called side-stage. 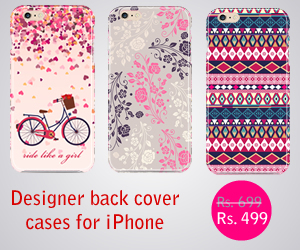 You can also customize the screen real-estate for these apps. The tablet interface fits tablet sizes ranging from 6 inches to 20 and resolutions from 100 to 450ppi. On high end hardware it offers a full pC experience when docked to a keyboard, with access to remote Windows apps over standard protocols from Microsoft, Citrix, VMware and Wyse. The Touch Developer Preview od Ubuntu will be published on February 21st at developer.ubuntu.com. Ubuntu will also provide instructions and Images to flash on devices will also be provided for Nexus 7 and Nexus 10 tablets along with Galaxy Nexus and Nexus 4 Smartphones.